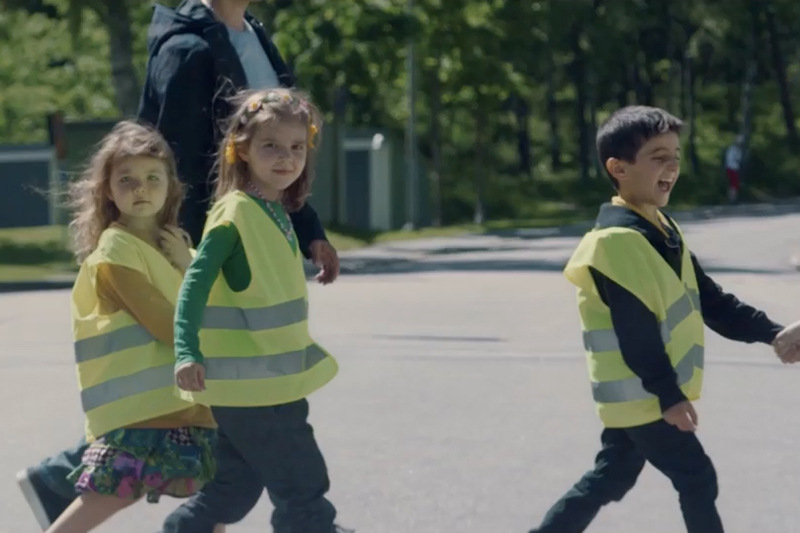 Nordic insurance brand If Insurance has teamed up with Swedish agency Forsman & Bodenfors to make a sat nav product designed to get drivers slowing down for kids. The "Slow Down GPS" app automatically switches to a child's voice in areas where there are likely to be kids around, the idea being that this audio cue will make drivers think more about children's safety. For example, in the first version of the app, GPS-locations for all schools and day-care centres in the Nordic region have been added. But through a crowdsourcing project, people are also asked to suggest more locations where the voice should switch to a child's voice. At the moment, the app only works in Sweden, Finland and Norway. Director Tarik Saleh of Bacon made this short film explaining the project.